SES 5, also called Sirius 5, is a commercial communications Satellite that was built by Space Systems/Loral and is operated by SES World Skies. It will become part of the SES Fleet of Satellites. The Spacecraft has liftoff mass of 6,008 Kilograms and is based on the LS-1300 Satellite Platform. The Main Payload of SES 5 are 36 Ku-Band and 28 C-Band Transponders. Electrical Power for the Satellite Payload is generated by two deploayable solar arrays and stored in on-board batteries. SES 5 will operate from an Orbital Position of 5 Degrees East in Geostationary Orbit. It will be operational for at least 15 years providing high performance and extensive coverage for direct-to-home broadcasting, broadband, point-to-point, and VSAT services in Europe and Africa. The vehicle also includes a hosted L-Band Payload for the European Union. The navigation payload is part of the European Geostationary Navigation Overlay Service (EGNOS), which is being developed by the European Space Agency (ESA) and the European Commission (EC). After being delivered to Geostationary Transfer Orbit by the Proton-M/Briz-M Launch Vehicle, the Satellite uses its own Propulsion System to adjust its orbit and achieve its final Geostationary Position. The vehicle is equipped with a R-4D Main Engine and four SPT-1000 Plasma Thrusters. R-4D has a dry mass of 3.76 Kilograms and is 0.55 meters in length with a nozzle diameter of 0.3 meters. It provides 489 Newtons of thrust burning Monomethylhydrazine and Mixed Oxides of Nitrogen as propellants. The engine has no burn limitations; its longest demonstration burn was 200 minutes in duration. 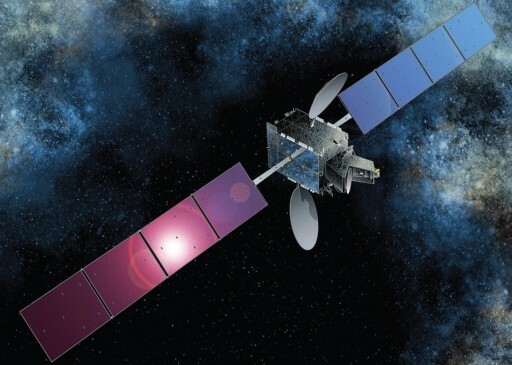 The Spacecraft Commissioning period will last several weeks before the satellite begins operations as part of the SES Fleet.